For the project Hong Kong Solos by Ari Benjamin Meyers that Spring produced for An exposition, not an exhibition (2017), Meyers invited 6 composers to create brief, jewel-like works to be performed live: Shane Aspegren, Steve Hui, Charles Kwong, Lam Lai, Vanissa Law, and GayBird Leung. These solos are then performed by staff members at six arts organizations across the city: Michelle Wong at Asia Art Archive, Samantha Kwok at Hong Kong Arts Centre, Tom Morgan at M+, Olivia Chow at Para Site, Alice Wong at soundpocket, and Chantal Wong at Things that can happen. Lam Lai was born in Hong Kong. She studied music composition at the Hong Kong Academy for Performing Art in Hong Kong and later in the Royal Conservatoire in The Hague. Her compositions are performed in public around the globe, including orchestral, ensemble, electronics and interdisciplinary works. 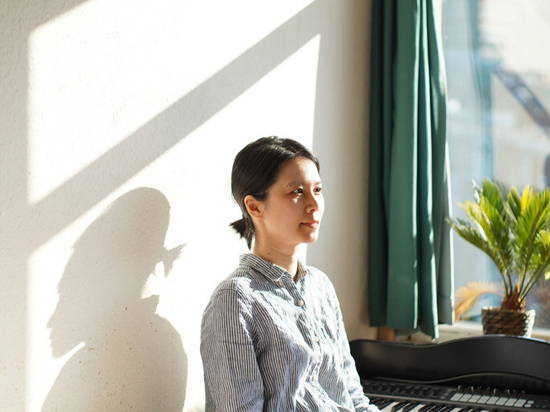 As a composer, she tends to create new hybrids of media, exploring sound experiences in music and ways to communicate to the listener via music. Lam Lai has focused on combining conventional performance practices with other forms of art such as electronic sound, visual art, film, literature and theatre. In 2011, her work Frozen Moment for synchronising two ensembles in two cities was performed by the Hong Kong New Music Ensemble and Ensemble Adapter at the Berliner Festspiele 2011. She worked with many innovative new music groups such as Nieuw Ensemble (Amsterdam), the Internationale Ensemble Modern Akademie (Frankfurt), Experimentalstudio des SWR (Freiburg), Atlas Academy (Amsterdam), Ensemble Adapter (Berlin), Parallax (Norway), Dallas Winds (United States), New European Ensemble (The Hague) and Hong Kong New Music Ensemble. Her works were performed in many music and art festivals in different countries such as the Holland Festival, MOBILE M+: INFLATION! (Hong Kong), Musica Nova Helsinki, Atlas Festival (Amsterdam), New vision arts festival (Hong Kong), Sonic Anchor (Hong Kong), WASBE wind band festival (California) and also in South Korea and France. Apart from creating her works, Lam Lai also contributes in music and art education. She was invited by Hong Kong Arts Centre as an artistic tutor to design series of sound art workshops about “Art & Technology” for secondary school students. Currently, she is working with the music-theatre company de Veenfabriek in the Netherlands. An exposition, not an exhibition was developed during Ari Benjamin Meyers’ two residencies at Spring Workshop in the summer and fall of 2016, and stems from his ongoing research into the essence of live musical performance and the questions surrounding its protocols for audiences, performers and institutions. The Kunsthalle for Music is commissioned by Witte de With Center for Contemporary Art (Rotterdam) together with Spring Workshop (Hong Kong) and will make additional appearances at locations to be announced. An exposition, not an exhibition at Spring Workshop (March 2017) unfolds the Kunsthalle’s foundational themes, and will be followed by a congress at Witte de With (May 2017), then punctuated by an inaugural take-over, featuring a series of new commissions also at Witte de With (January 2018).